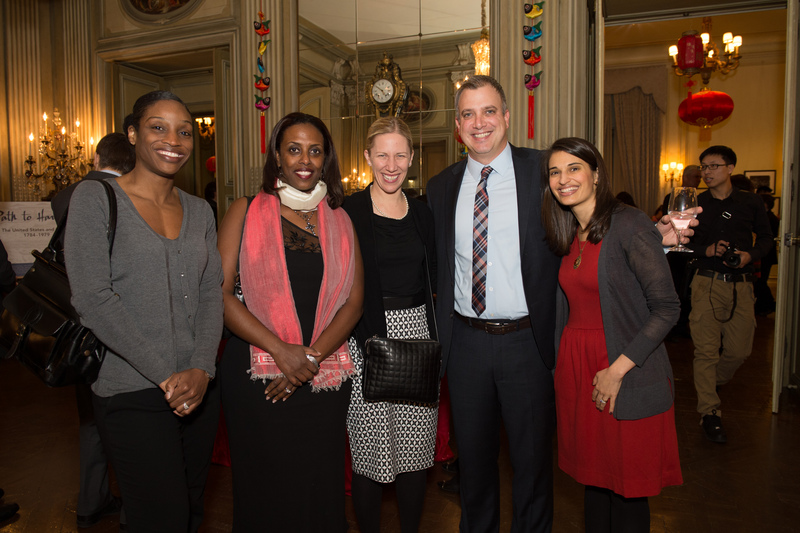 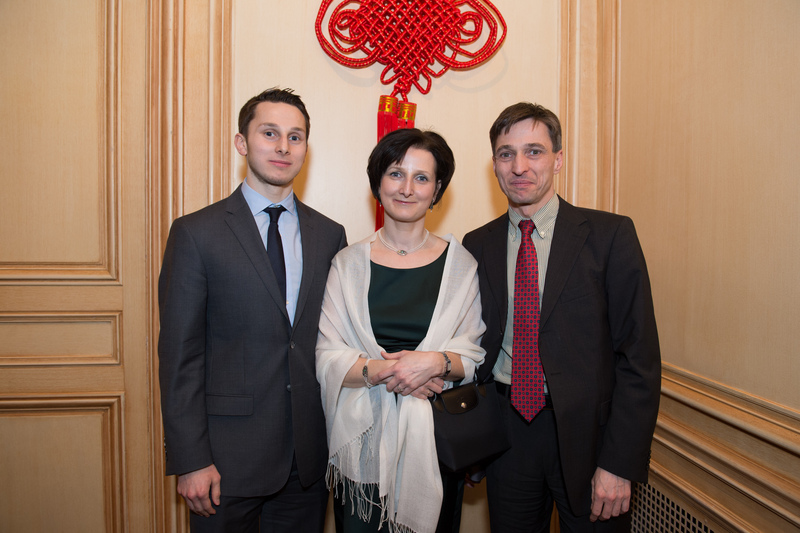 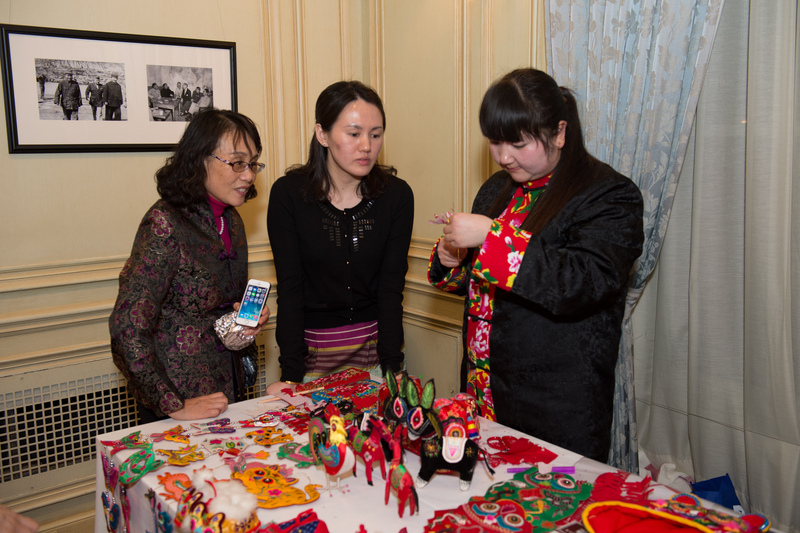 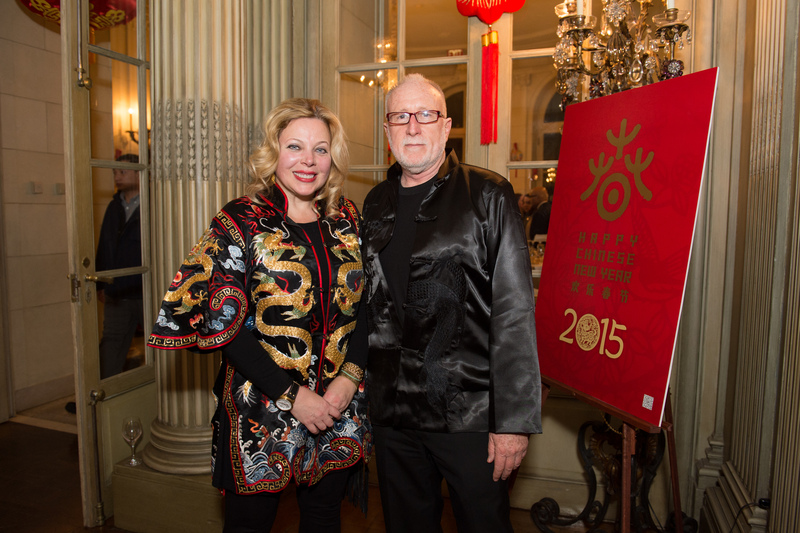 Washington DC: On Thursday, February 12, 2015, Meridian International Center’s American-Chinese Cultural Initiative joined with the Embassy of the People’s Republic of China to host the 5th Annual Chinese Lunar New Year Celebration at Meridian House. 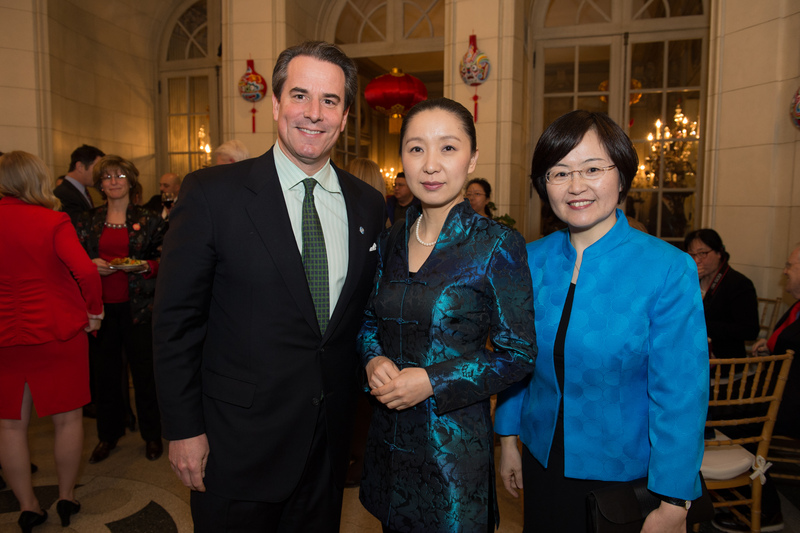 The celebration, which serves as a cultural bridge to foster deeper understanding between the U.S. and China, was attended by more than 250 top diplomatic, government, corporate, and cultural leaders, including: Minister Wu Xi, Embassy of the People’s Republic of China and Congresswoman Grace Meng (D-NY). 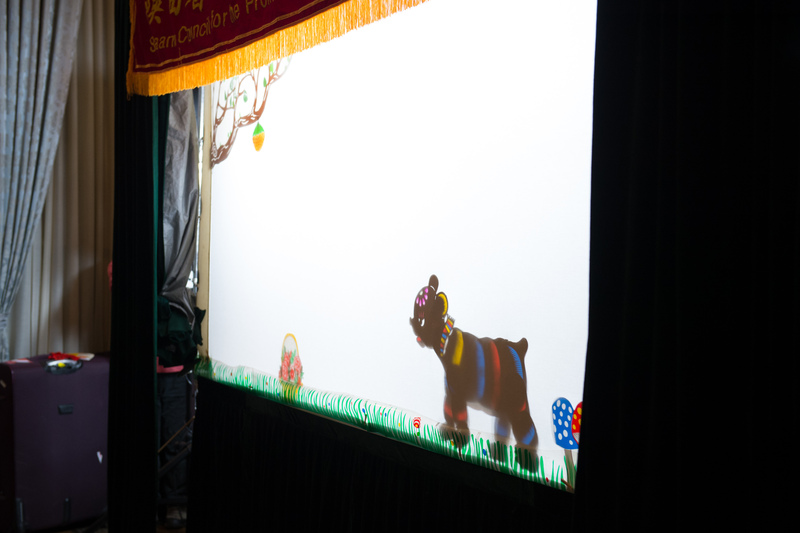 This year’s dynamic cultural evening, celebrating the Year of the Goat, featured folk arts from Shaanxi Province, including decorative ladles painted with traditional designs and motifs and a performance by a shadow puppet troupe. 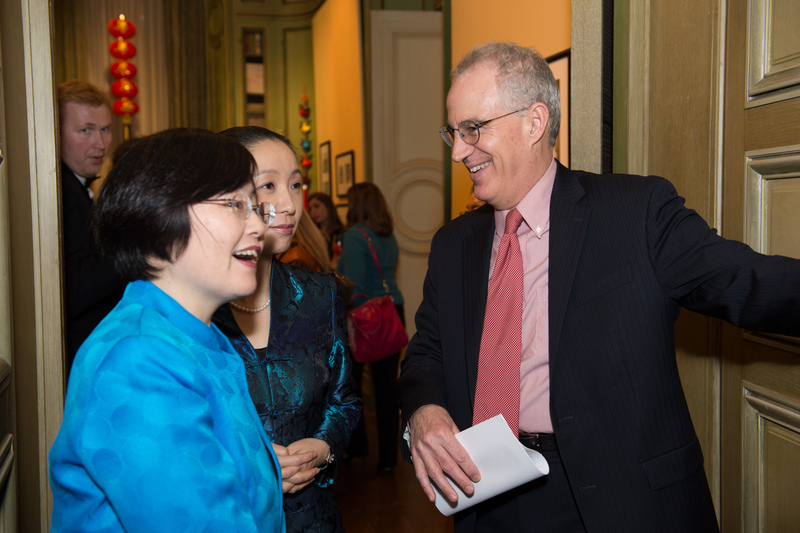 One of the major highlights of the evening was a special preview of Path to Harmony: The United States and China, 1784-1979, a first-of-its-kind exhibition curated by the Meridian Center for Cultural Diplomacy with support from the U.S. Embassy in Beijing. 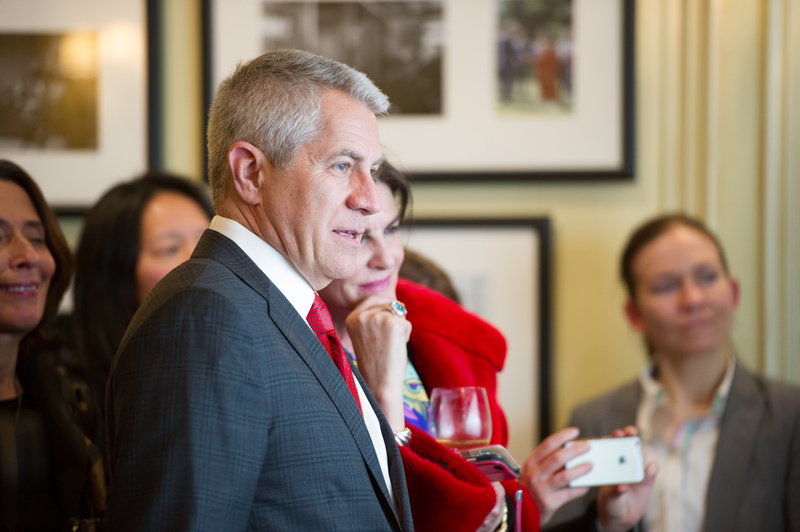 Additional support provided by Visa, Inc. 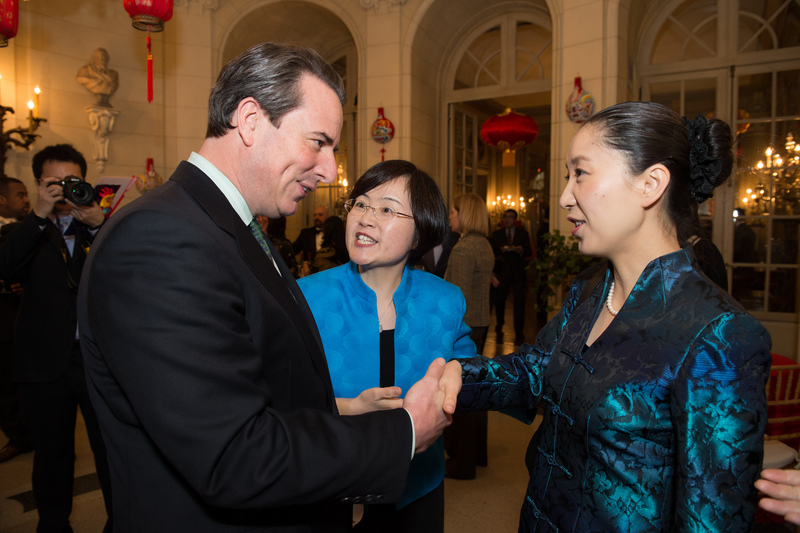 Path to Harmony reveals the longstanding relationship between these two world powers. 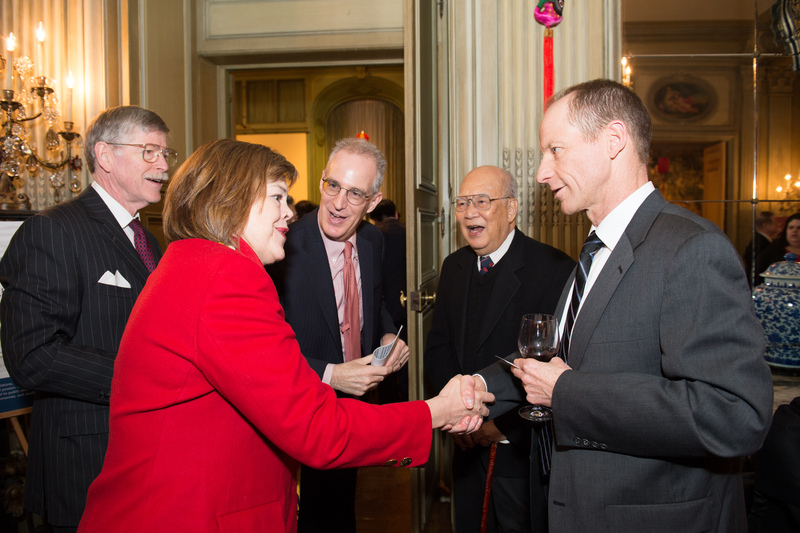 For over two and a half centuries, both countries have sought to develop a stable bond based on national interests, trade, cultural exchanges, diplomacy, and the equality of nations. 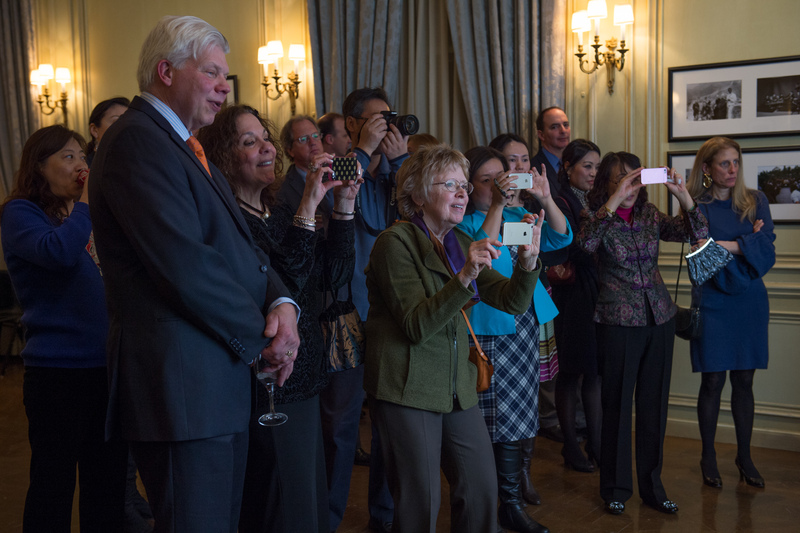 The merchants, immigrants, entrepreneurs, diplomats, explorers, and students highlighted in this exhibition illustrate how the friendship between both countries has been complex, yet fruitful despite our different cultures and ideas. 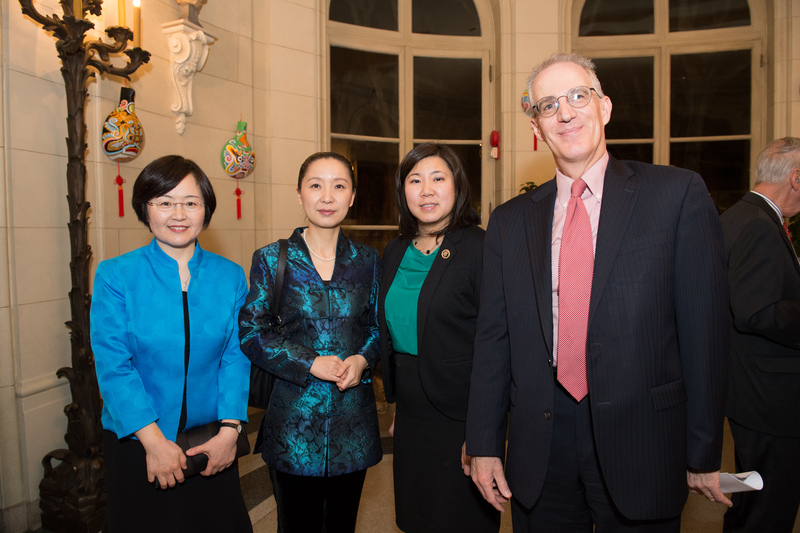 Path to Harmony will travel to public venues in China on a multi-year tour in early 2015 and will also serve as a focal point for a broader outreach effort by the U.S. Department of State. 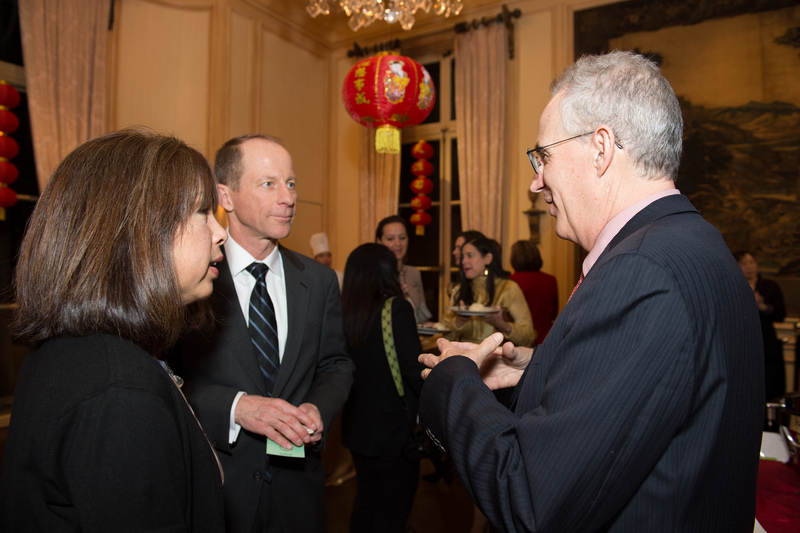 In his remarks at the Lunar New Year Celebration, Meridian’s President and CEO, Ambassador Stuart Holliday emphasized that "Meridian is proud of its critical role in bringing the U.S. and China together. 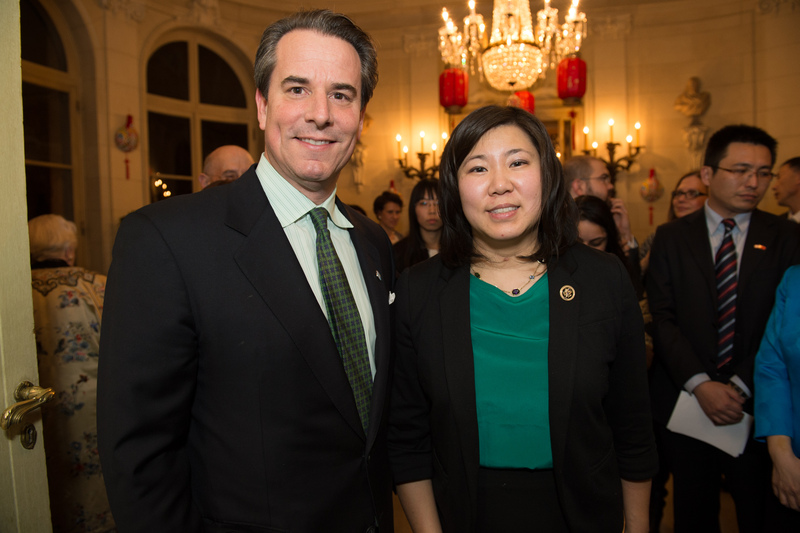 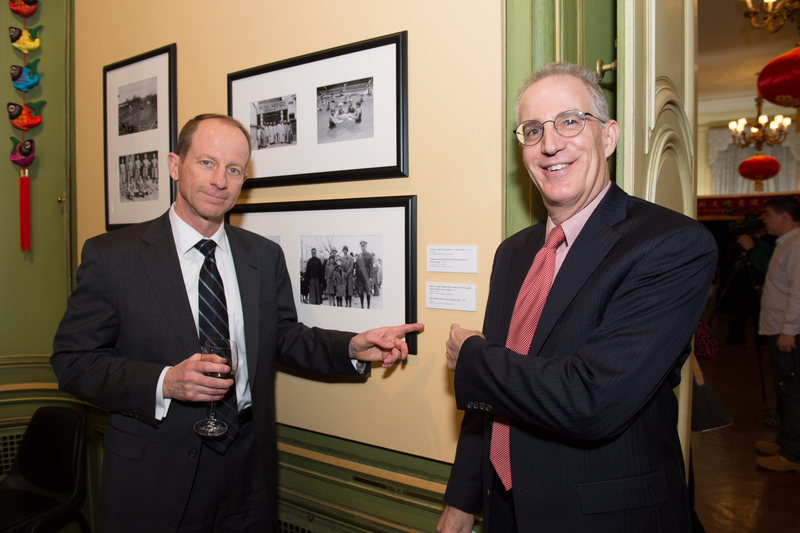 We believe that cultural exhibitions, such as the one on display here this evening, and other cultural exchanges have captured and strengthened the 200-year relationship between the U.S. and China." 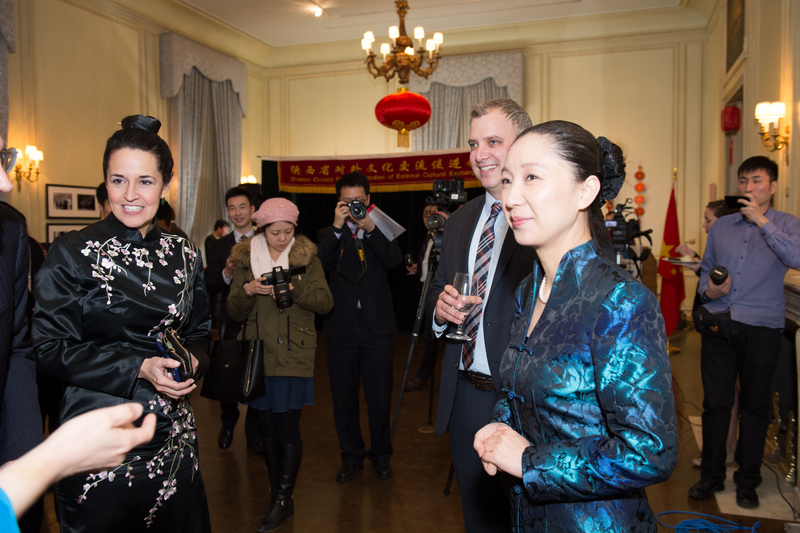 Minister Wu Xi echoed the importance of culture and exchange in advancing bi-lateral relations, stating that "this shared belief has inspired people from different countries to learn from each other, enabling different civilizations to blossom in the evolution of the human history. 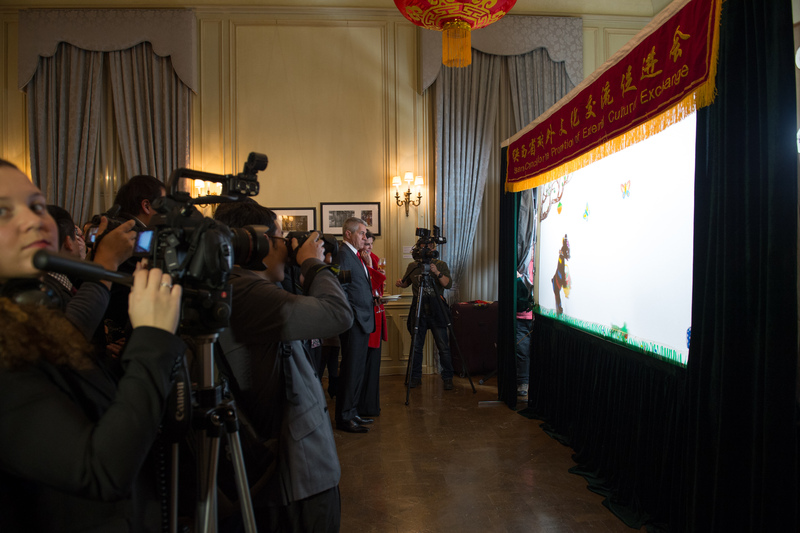 And it is what brings us together each year at Meridian International Center to celebrate the Chinese Lunar New Year. 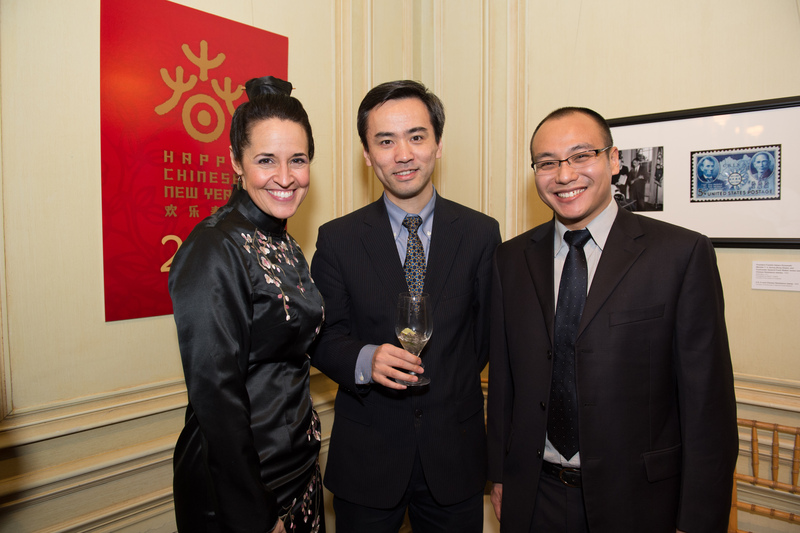 This year marks the 36th anniversary of the establishment of China-U.S. diplomatic relations. 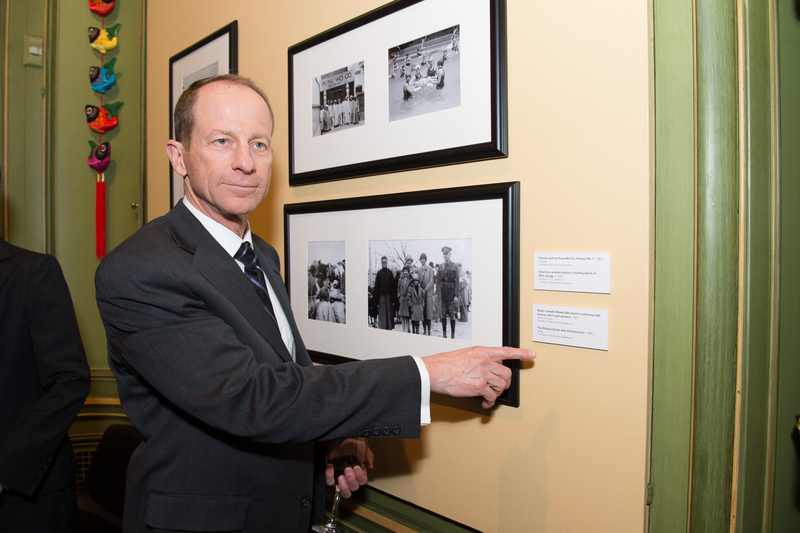 It is really remarkable how much we have achieved over the last 36 years. 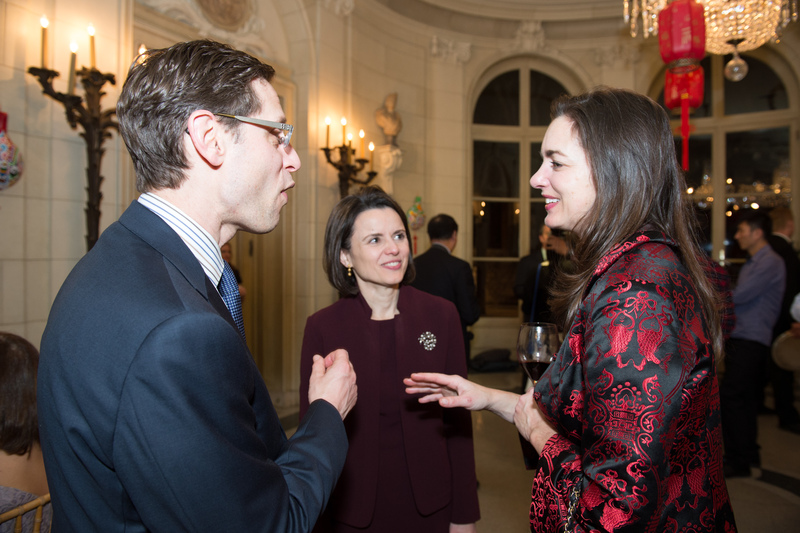 And I believe it will be even more remarkable if we can join our hands to promote cultural exchanges." 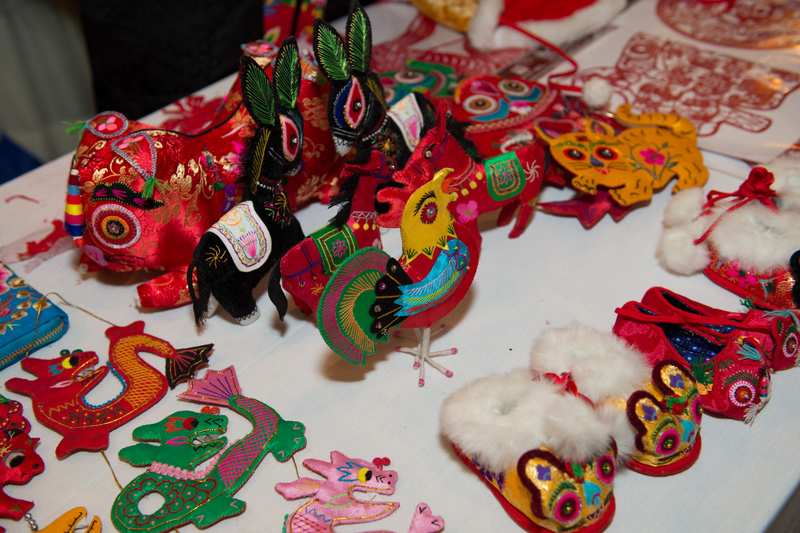 Meridian’s Chinese Lunar New Year Celebration, along with other collaborative programs with the People’s Republic of China, serves as a cultural bridge that fosters deeper understanding between the United States and China. 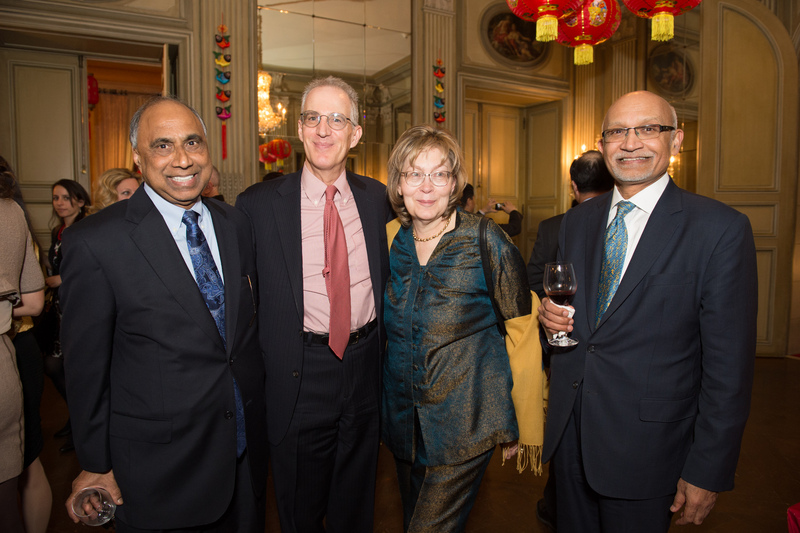 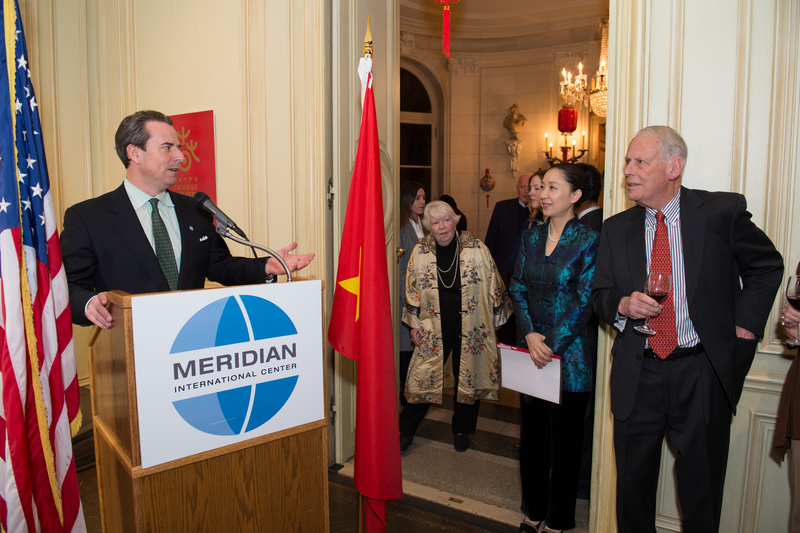 Through its activities, Meridian’s American-Chinese Cultural Initiative, a public-private partnership between U.S. and Chinese businesses, non-profit cultural organizations, and government entities, strengthens and improves relations between the two nations. 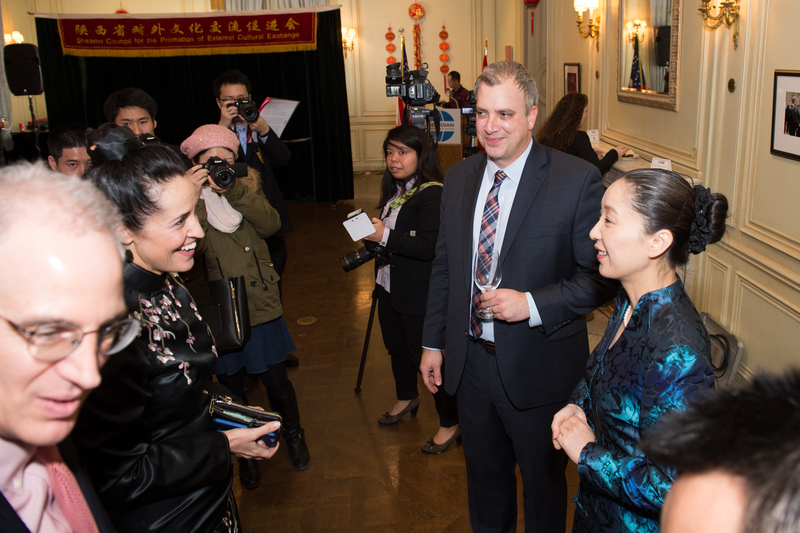 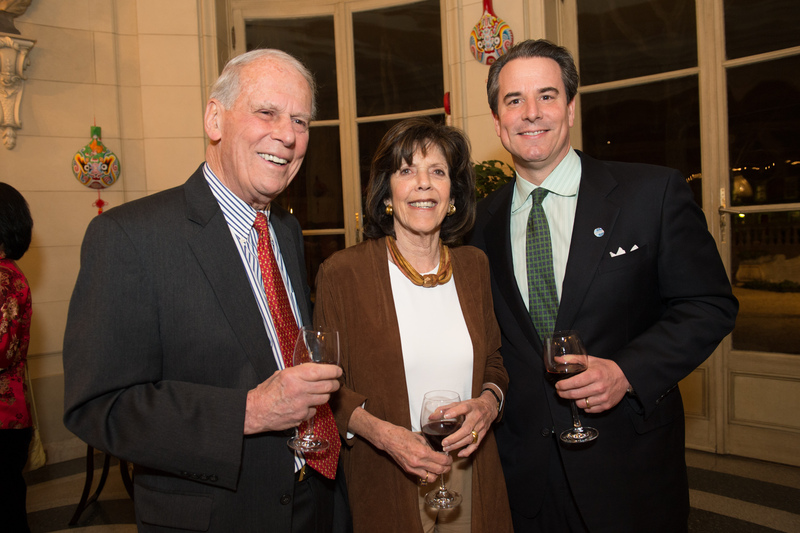 The American Chinese Cultural Initiative (ACCI) is an outgrowth of a five-year Memorandum of Understanding between Meridian International Center and the Chinese International Culture Association. 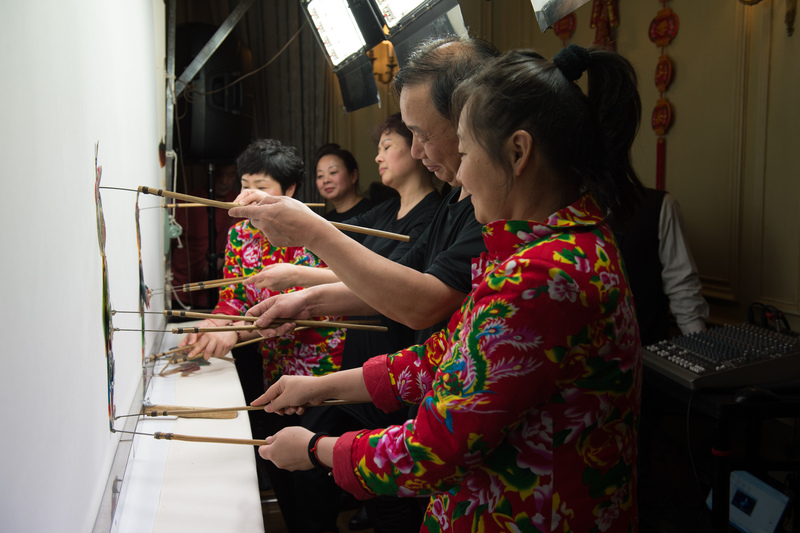 This Initiative uses Meridian’s convening power to further bilateral understanding and address topical themes through its innovative exchange programs that showcase collaborations between Americans and Chinese in art, music, dance, film, cuisine, and other cultural media. 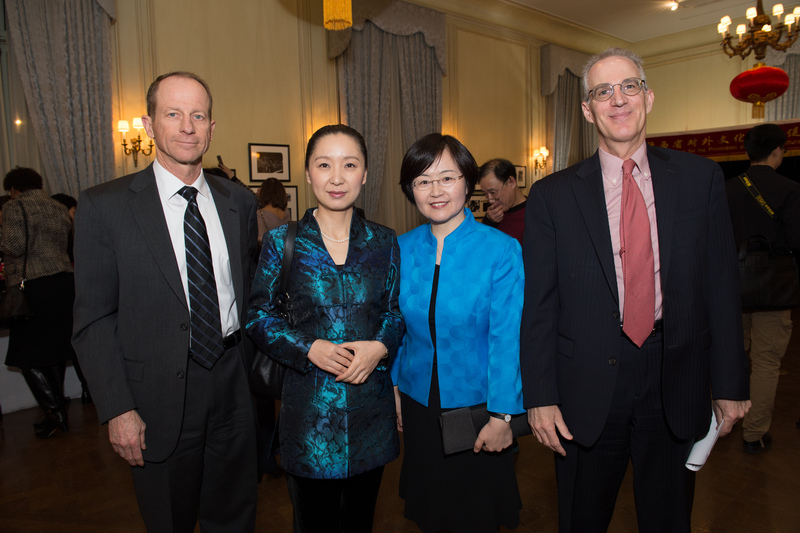 ACCI is intended as a public-private partnership between American and Chinese businesses, non-profit organizations, and government entities. 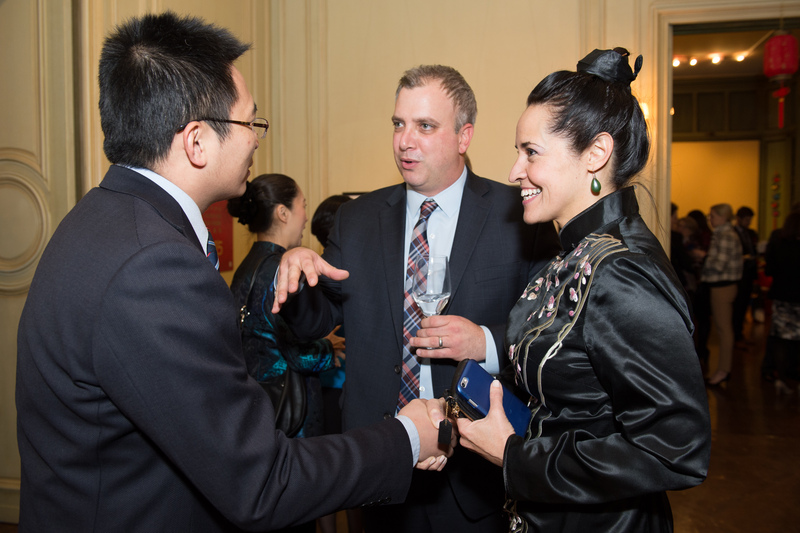 Through such connections, participants learn about each other’s cultures while serving as ambassadors for their own countries. 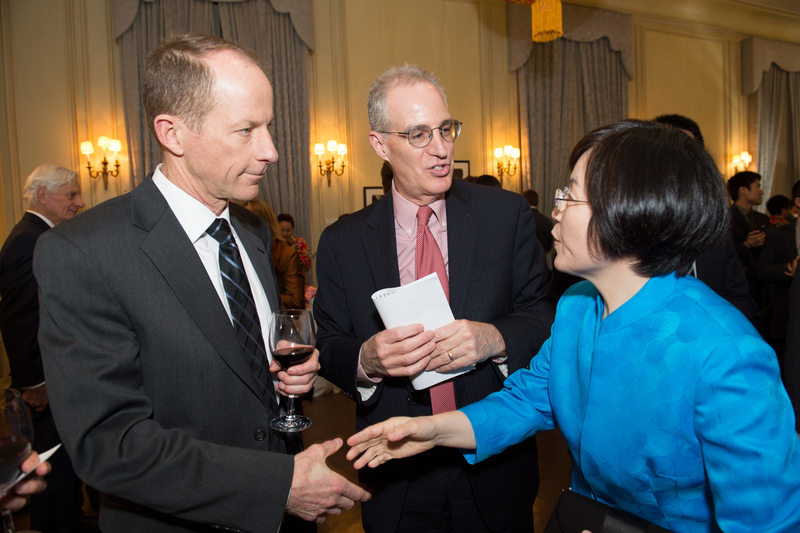 With associated conferences and forums, ACCI also assists government and business leaders in comprehending the cultural forces that underlie the U.S.-China political, economic, and strategic relationship. 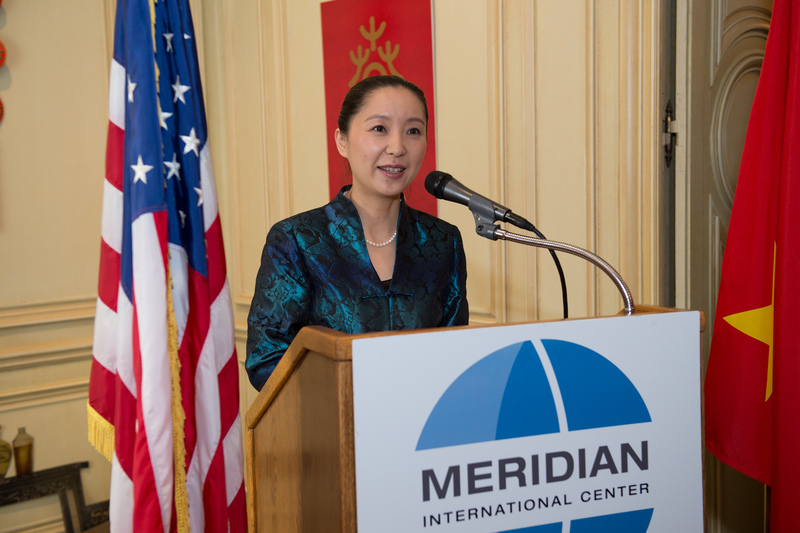 Headquartered in Washington, DC, Meridian International Center is a premier global leadership organization that provides valuable insight and experiences across borders, cultures, and sectors. 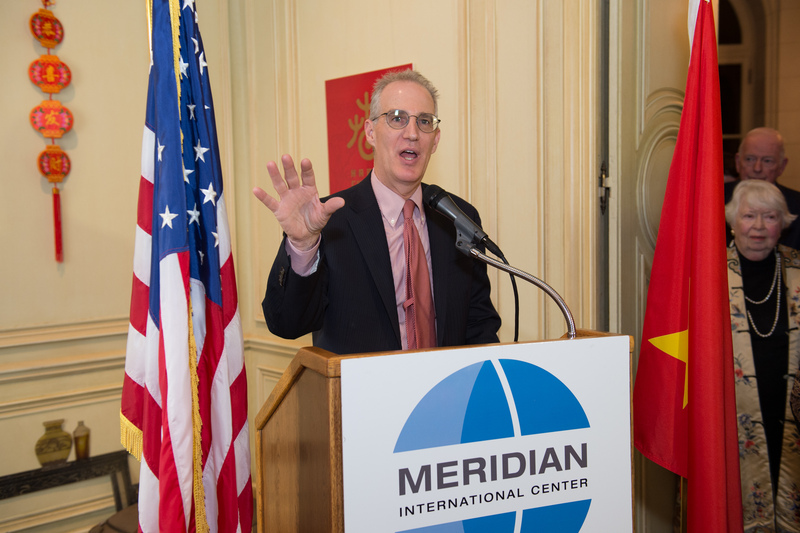 Meridian works with the U.S. Department of State and partners in the government, private, NGO, and educational sectors globally, to create lasting international partnerships through leadership programs and cultural exchanges. 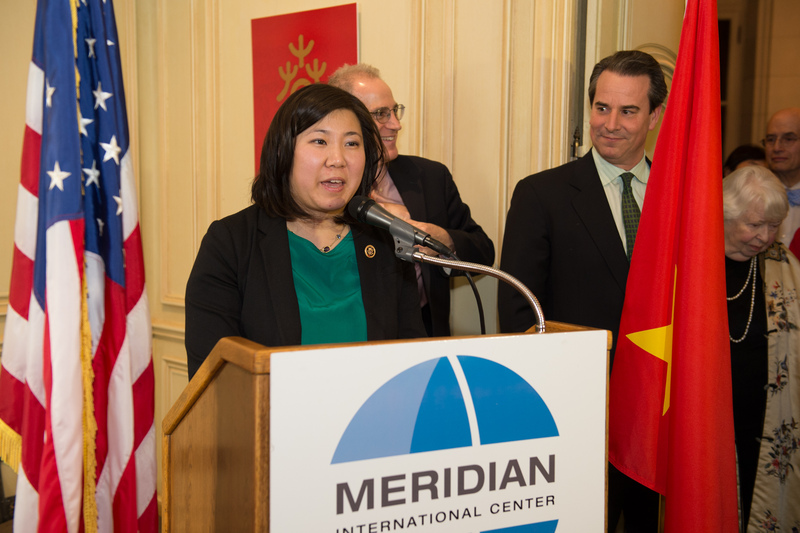 Meridian also connects U.S. and foreign governments with the private sector to respond to global challenges and sustain impact.